David Cross is a very good standup comedian, and deserves at least a minor pantheon spot in modern comedy for his innovations in sketch (Mr. Show) as well as character work in larger ensembles (the inimitable Tobias Fünke on Arrested Development). He's also been caught out in controversies regarding former cast members and recently had accusations of racism and insensitivity lobbed at him. He has, for the most part, weathered those storms and maintains a respected place in the standup world, where he continues to build a new hour almost annually that will satisfy and entertain his fans. What he's not doing anymore, for the most part, is challenging his comedic perspective or doing any formal experiments in his work. 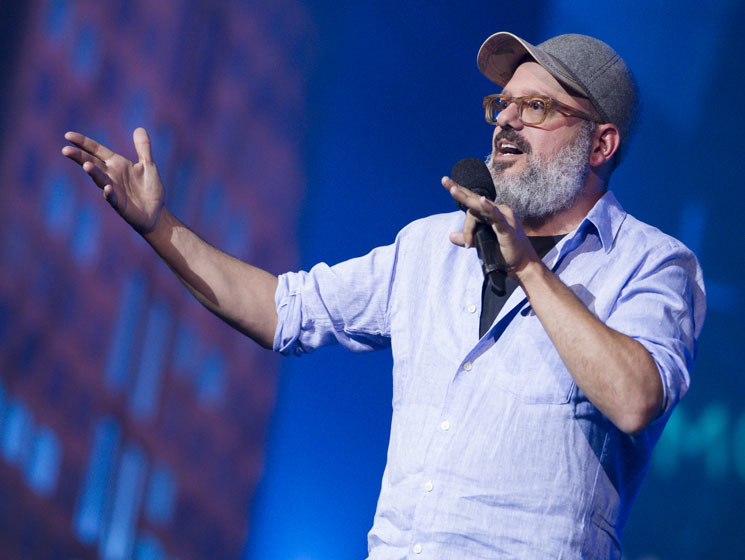 As a result, what you get from "Oh Come On," his latest since the ill-named "Make America Great Again" tour, is exactly what one would expect from David Cross in 2018. As a new dad, a good chunk of his performance is dedicated to that experience, tempered with fears of the world he's leaving to his daughter. Cross makes a genuine effort to not "dad joke" his way through this new phase — making pointed comments that this new dad material will not be all he talks about, and peppering jokes with some disgusting or "inappropriate" commentary. In that vein, he builds an excellent and disturbing story from booking a "couples colonic" with his wife. But new dad status aside, one of Cross's recent hallmarks is that he's angry: about politics in general and Trump very specifically. At several points in the show, he simply takes the opportunity to vent — a varied and creative list of insults, a litany of constitutional and moral violations — without being too concerned about comedy. He closes with an enthusiastically acted-out "fantasy" for Trump's fate in which the orangina gets viciously beaten at a debate by the one person Cross believes could stand up to Trump: actor Ron Perlman (Hellboy or Sons of Anarchy version — your choice). Cross admits that this chunk isn't all that funny either, but that it makes him feel really good, and that's the crux for both Cross and his audience at this point. Sharing both an affinity for his comedy and sympathy for his political frustrations, he acts as an audience avatar for this moment in time, and frankly, not everything in the world seems that funny.